uFound.Us® Directory is free and effective way to increase online presence without pulling a leg. Start saving on hosting cost today. Finding Your Favorite Service Providers Has Never Been Easier Before. And Turning Your Online Views Into Appointments Is Easier Than You Think. Think With Us! Do More With uFound.Us®! Hair Forte is your local salon located in the heart of South Burlington, VT. Review our services below and book your appointment today to keep your new look newer at a reasonable price. 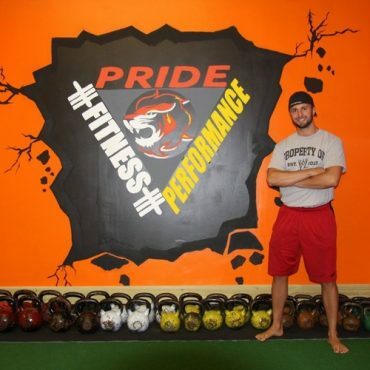 Pride Fitness Performance is here to deliver the highest quality strength and conditioning/fitness training service in the area. Our coaches are nationally certified, highly qualified exercise specialists. Increase performance and prevent injuries. It is not only our mission, but it is our passion to ensure that you will move better, feel better, look better, and live a better, healthier lifestyle. It is also our mission to educate and help you incorporate this mindset into your everyday life. Because anyone should be able to list their favorite service providers, uFound.Us® registers a new business every day. Are you a business owner? Time to list your business and get found by real patrons. Click on Add Listing to get started today. Yes, uFound.Us® Helping BusyEntrepreneursDo Big Businesses. With a paid plan, businesses like yours are saving time and money while at the same time bringing in more customers. You’ve just seen a unique yet functional free online business directory and appointment system to come soon. uFound.Us® increases your presence online and allows prospects to book appointments with you 24 hrs/day. Your competitors may already be ahead. So, what are you waiting for? JOIN NOW! All information requested and submitted through uFound.Us® is SECURE and CONFIDENTIAL so long you can see a lock sign and or https in the address bar. Subscribe us and never miss our occasional but best tips and tricks. We all love to travel and to find our favorite providers when we need them the most. So, stay tuned in!